Do you cringe when you receive a jury summons in your mailbox? 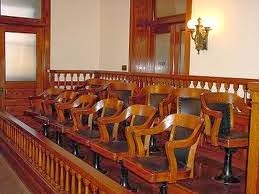 At first glance, jury duty is a burden, both inconvenient and costly. Not only do you have to rearrange your schedule, but it is usually not a very efficient process once you arrive. It is easy to get frustrated with our forced role in this bureaucratic system. Yet, despite the periodic inconveniences inherent in our system, I am proud to be a part of it. In fact, as I sit here in a jury room waiting to be called to serve on a trial, I am struck by how this civic duty provides an opportunity for us to connect with many aspects of our community that we take for granted. Just think of the many ways a community's vibrancy depends on civic engagement and how many people contribute on a regular basis. We are connected to others in our community through a web of relationships that determine the quality of our lives, our ability to exercise our rights, and even our safety. Embracing and contributing to the connectivity in our community will help strengthen, encourage, and improve it and, similar to improving connectivity in our workplace, we all benefit when our community hums. Millions of people around the world dream of living in a society governed by the Rule of Law. Jury duty has been a valuable reminder of how I am grateful to be a part of a system where my interdependence with my neighbors gives me the opportunity to partake in its ongoing success. 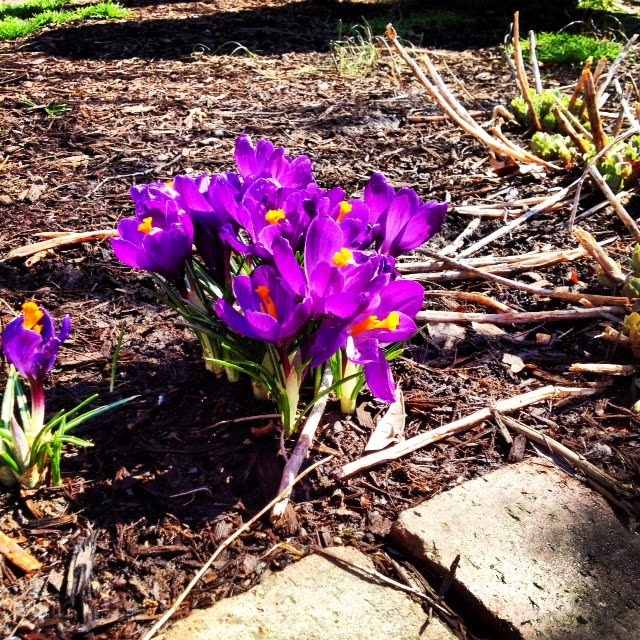 Spring Bulbs, Organizational Change, Magic! Despite the snow piled up outside my door, spring officially begins today. It seems like an appropriate time to talk about how change occurs in nature—and therefore, in organizations. 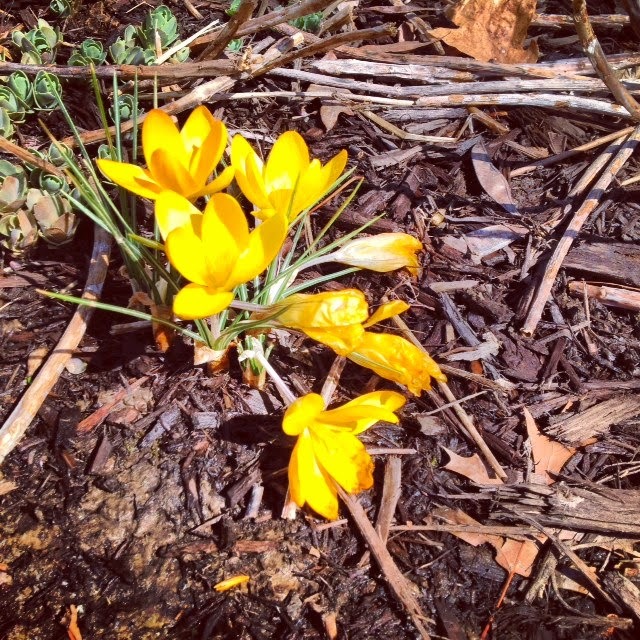 Every spring, it seems the spring bulbs I planted back in the fall pop up in bloom almost by magic. What we don’t see is their quiet, invisible energy building up below the surface until it reaches a critical mass so that when the sun sends the signal that the time is right, those small hard bulbs awaken and use that stored energy to shoot up leave and flowers, almost overnight. Organizations, composed of living beings, follow the same principles of nature as other living systems. I am often in awe of how those in an organization, just like tulips and daffodils, can set their intentions on a goal and pour a lot of energy into achieving it. For what may seem like a long time, there is no visible sign of change, but they remain steadfast in their focus and in building energy toward that goal. And then, one day, it just seems to bloom, as if from nowhere. One group I worked with recently had this experience in their efforts to make their culture more trusting and cooperative. Because of the single-minded commitment of their leaders, they continued to practice 3 connective behaviors that the full staff had agreed to adopt. Then, as they reported, everyone noticed within a few days of one another that they had transformed their culture. Change leaders often mistakenly represent incremental change and transformational change as opposites, the first being so 20th century while the latter is the kind of change needed in today’s environment. They fail to see that all transformations occur through small, incremental steps toward a shared vision—until a tipping point is reached and the transformative change becomes visible. 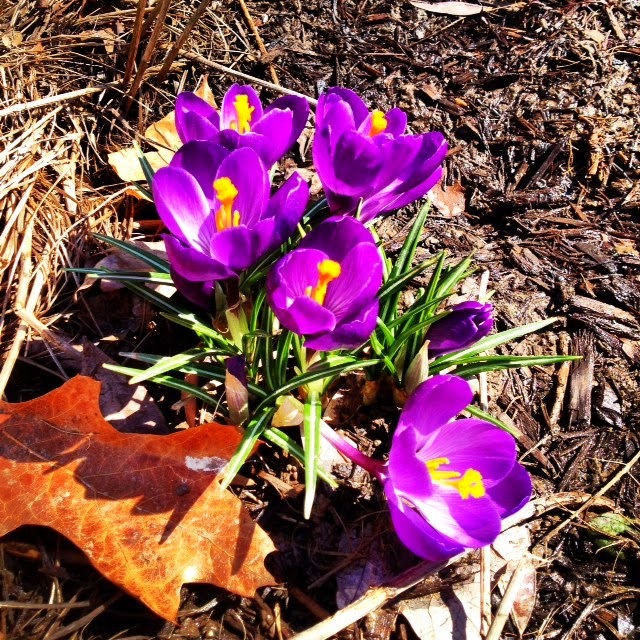 When you enjoy this spring’s hyacinths, daffs, and tulips, think about the work their bulbs were doing underground throughout the winter so they could pop up and be enjoyed by the winter-weary. And think about how powerful this same kind of unseen, but consistent, intention can build a critical mass for good in your own organization or in your life. This week, I had the great opportunity to do a workshop and book signing with leaders from the Maryland suburbs of DC. The group was a delightful, inquisitive, experienced mix of about 30 leaders from the private sector, government and nonprofits, with a good dash of consultants thrown in for spice. I was asked what the greatest change is that I’ve seen in nonprofits in my years of helping them perform. My response was that thirty or even twenty years ago, the private sector was focused on the bottom line while nonprofits addressed the “gap” needs of various groups in society that were unmet by government and corporations. The divide between the two sectors was deep and clear cut. Over the years, I’ve watched the lines get blurred. Public-private-government partnerships are no longer the exception—they are the norm today, thanks to trailblazers like Shirley Sagawa, the first Executive Director of the Corporation for National Service, home of AmeriCorps. Corporations are leaders in environmental conservation, social services, and the arts. Nonprofits are entrepreneurial. It’s common for a nonprofit to have a for-profit arm or vice-versa. Philanthropists who make their fortune in the private sector turn around and use their fortunes to address AIDS, childhood obesity, human trafficking, or energy alternatives. This shift and blurring of lines among sectors was underscored by the participants in the workshop, who represented organizations of every size and from every sector, yet shared a commitment to working collaboratively to make this a better world. All were involved in more than one sector in one way or another. Some were using the arts to help at-risk kids. Some were coaching bureaucratic government agencies to become more responsive to the needs of their constituents. Others were on boards of nonprofits, working to set strategic direction and keep staff engaged in spite of dwindling resources. Success today requires drawing connections among people and organizations that, on the surface, may not seem to have common interests. It takes challenging our assumptions and stereotypes, looking through unfamiliar lenses, and being flexible and open. Our work to build more connective cultures, more connective leaders, and more connective organizational structures results in greater purpose and harmony—often among people and groups who wouldn’t have imagined joining forces. For many years, I guided my parents on an annual winter escape to a wonderful little eco-resort on the “Mexican Riviera.” Small bungalows on a beautiful beach assured that they could relax and enjoy the beauty without wandering away, having to deal with long staircases, or negotiating crowds. 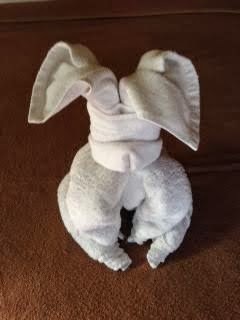 Recently, I spent a week there by myself, reading, soaking up the sun, walking the beach, and enjoying interacting with the same staff who took such good care of my parents over the years. During my stay, I had plenty of time to reflect and was struck by several admirable traits that the staff of this wonderful place share—traits that I’d like to improve myself, and traits that could benefit my client organizations. First of all, I admire the visible pleasure the staff exhibits in serving together—it’s clear they want you happy. 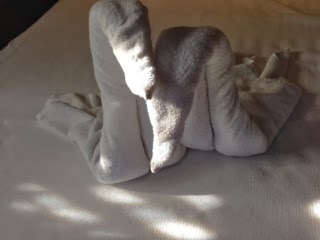 For instance, they learn and use the name of every guest. They remember your food preferences and work hard to assure you’re pleased with every dining experience. If someone working in the garden sees you carrying a heavy bag, he will drop his rake and come over to carry it for you—and give you a smile to boot. They ask often for feedback on how they’re doing—not just at the end of one’s stay. 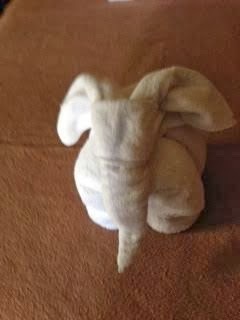 The accompanying photos show the extra time they take to fold your towels into different creatures every day—a small but lovely gesture. Secondly, this staff is always striving for continuous improvement. Every year there is something added to the room—a safe one year, a fridge the next, then an iron and board (boo! ), next a phone (double boo from those of us who want to be unplugged for a few days). Even if I don’t use the iron or the phone, I appreciate their desire to provide more of what guests want, never being satisfied with, “good enough.” No wonder they consistently win TripAdvisor awards! Think of how much your organization would benefit from being fully present, focusing on totally delighting those you serve, continually looking for ways to improve your service, and demonstrating that you are working happily as a team to do so. This last week I was a guest at a place that really HUMMED with purpose and harmony, and the experience inspired me to do so myself.